Every September, the Star-Spangled Banner flies over a small town in the French region of Normandy. Only a few miles from the beaches where the Allied troops landed on June 6th 1944, it is the time of the annual Deauville American Film Festival. Since 1975, the festival has been committed to celebrate US cinema of all shapes and sizes. The competition focuses on independent cinema (a significant portion of the titles premiered at Sundance earlier in the year), but Deauville also provides a platform for Hollywood studios to present their latest products and stars. The mainstream aspect has been declining in the last few years, but it still makes for a diverse selection between art and entertainment. This year, the festival for instance paid tribute to two filmmakers who couldn't be more different: Terrence Malick and Michael Bay. The other honorees were Sir Ian McKellen, Keanu Reeves, Orlando Bloom, producer Lawrence Bender and some chap called Orson Welles. Opening night saw a screening Baltasar Kormákur's highly anticipated Everest. I was not able to score a ticket for the event, but managed to catch all the other films in the programme, with the notable exception of Sicario. This article will however focus on the fourteen films that screened in competition. The quality of this year's selection was simultaneously very strong and slightly disappointing. None of the films were bad, but only one of them managed to rise above the level of mediocrity. In contrast, last year's edition screened three outstanding films: Whiplash, It Follows, and A Girl Walks Home Alone at Night. The jury and its president Benoit Jacquot awarded the Grand Prize to Ramin Bahrani's 99 Homes. The drama about the repossession of homes was in many ways the obvious choice: it is well made, it is topical, and it has got big name actors (Andrew Garfield, Michael Shannon, Laura Dern). It was also the only competition title to receive a standing ovation in the giant auditorium of the C.I.D., although the fact that Michael Shannon was in the room might have something to do with this. I liked the Faustian dilemma of 99 Homes, but I was not convinced by the overly dramatic resolution. So here are my five favorite titles from the official competition of the 41st Deauville American Film Festival. 5. Cop Car Children rarely behave like real kids on the big screen. Even Macaulay Culkin had a very particularly set of skills when it comes to devising booby traps. In Jon Watts' Cop Car, Travis (James Freedson-Jackson) and Harrison (Hays Wellford) are just two ten-year-old kids who stumble upon a seemingly abandoned police cruiser. Unable to resist temptation, they take the vehicle for a joyride. 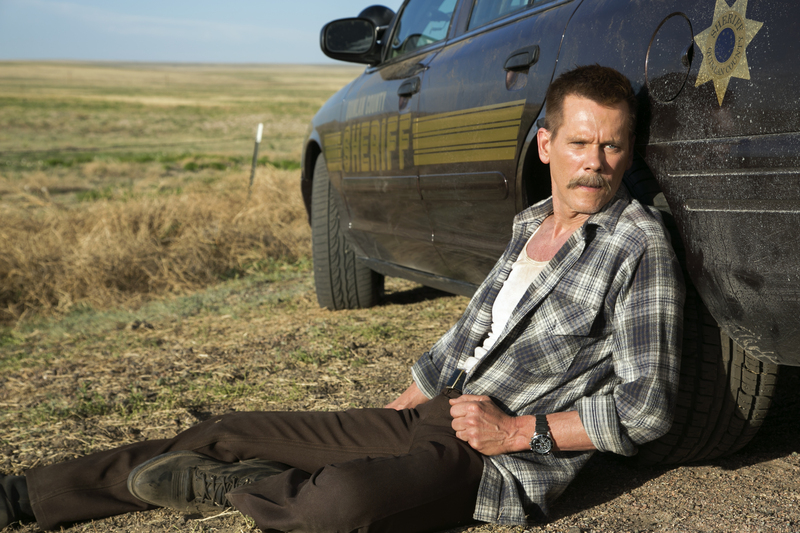 Unfortunately, it belongs to one very bad sheriff played by Kevin Bacon and his glorious mustache. Bacon is having a great time playing a pantomime villain. His Sam Elliott-tribute act is a joy to watch. Fans of Jeff Nichols (particularly Mud) should seek this fun thriller out. Director Jon Watts next gig is going to be the Spider-man reboot being co-produced by Marvel and Sony. 4. 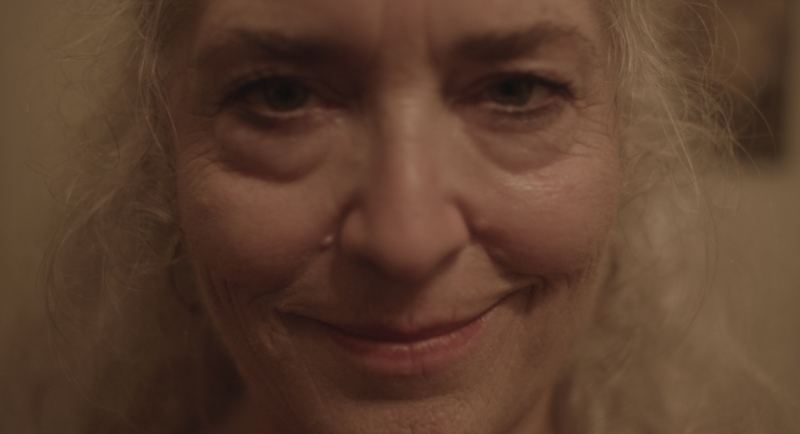 Krisha When Trey Edward Shults took to the stage to introduce his feature debut and announced that he shot Krisha in nine days at his own home with his family, I feared for the worst: a self-indulgent, mumblecore home-movie. What we got instead is an accomplished calling card from a natural cinematic talent. The script about an emotionally troubled woman trying to reconnect with her family (think Ellen Burstyn in Requiem for a Dream) is uneven at times, but Shults directs with remarkable confidence and style. Not many low-budget filmmakers have the guts to open their debut with an unbroken shot that lasts for almost eight minutes. Someone needs to sign Shults to direct a strong horror script. 3. 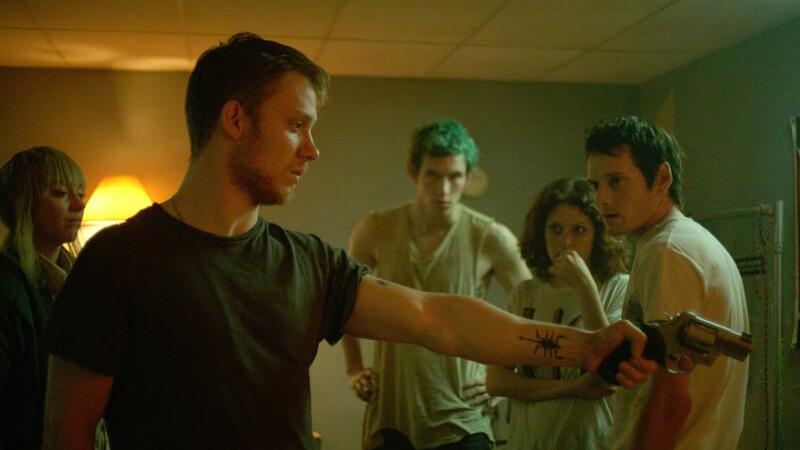 Green Room Green Room delivers exactly what you expect when you hear the premise: punks vs. nazis. Jeremy Saulnier (Blue Ruin) delivers a strong, straightforward siege movie in which an unfortunate punk band has to battle a battalion of heavily armed skinheads. Sir Patrick Stewart brings gravitas and an uneven American accent as the leader of the nazis, but every actor has his or her moment. A punk-heavy soundtrack and Saulnier's dark sense of humor make Green Room a fun, tense experience. Here is my full review. 2. Dixieland Dixieland had to grow on me after I hated the first ten minutes. Do we really need another sob-story about a white-trash ex-con trying to do good in the hostile American South? The answer is, it turns out, yes we do. Writer/director Hank Bedford keeps taking the plot in different, unexpected directions and builds a sweet love story. Most of the cliches from the beginning are subverted as the film just keeps getting better and better. Even the device of having real people break the fourth wall and talk about their experiences in the town, kind of works by the end. Chris Zylka and Riley Keough (who is much more than the "vulnerable love interest") are fantastic in the leading roles. Music fans should keep their eyes peeled for a cameo by Steve Earle. 1. 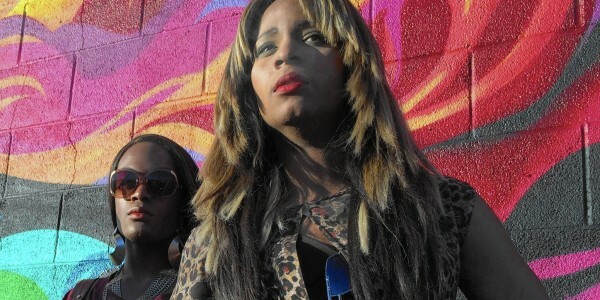 Tangerine Sean Baker's Tangerine is quite an achievement. It may even be a game changer: it is the first feature shot on an iPhone to receive widespread attention. 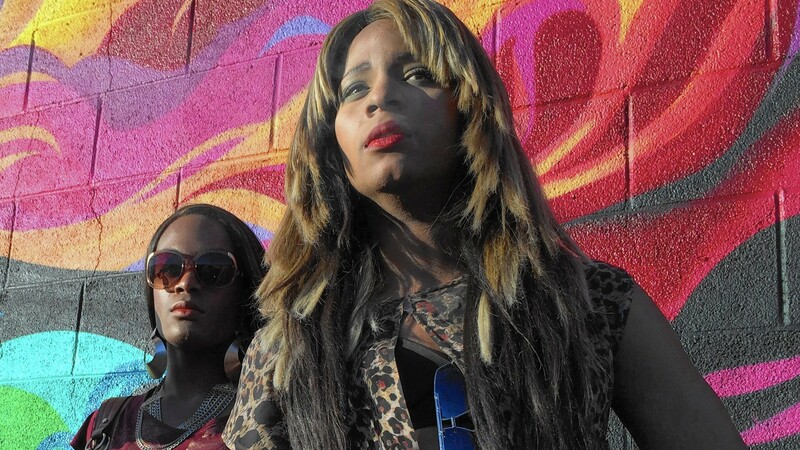 Tangerine is however much more than a stunning technical achievement. It is a hilarious movie. It is an important movie. It is a human story. It shows something completely strange, yet familiar. It does not make us feel sorry for transexual women; it makes us fall in love with them and understand them. Yes, I love Tangerine. Thank God the jury shared my point of view and awarded it the Jury Prize. Here is my full review.